You don’t need green fingers to make your Instagram following blossom, but you will need some savvy type, click and like your way into social media stardom. There are plenty of digital fertilisers you can use to give your Instagram a growth spurt, but you can start with these three to do a lot of the groundwork for your social media marketing Perth based business. 1. Let the following begin! One of the easiest ways I have found to increase my following on Insta is to do some following of your own… Make sure you follow social profiles within your niche, or similar niches that appeal to you. Ideally, you’ll follow accounts within your niche, or in similar niches. 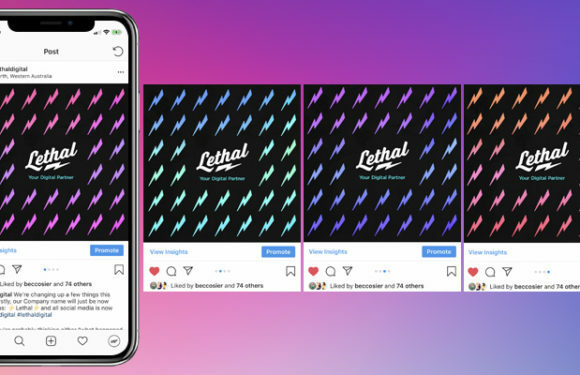 Instagram makes this pretty easy by offering suggestions of accounts you might like, but you can also follow those who follow you, and search some of your favourite hashtags to see who’s sharing content in your field. As you go, be sure to like a few photos, leave some genuine messages here and there, and generally interact with these accounts to show your interest. Often, these accounts will follow you back. If you do use this strategy, remember to occasionally go on an “unfollowing” spree, as any growth in followers will also result in fake accounts following you—eliminate these as you go to keep your feed nice and clean. There’s an old saying in advertising circles that suggests anything you share with your audience should be beautiful, useful, or entertaining (or a mix of all three). While it’s not a hard-and-fast rule, it is something to keep in mind any time you post. Is the image or video aesthetically pleasing? Are you offering your audience some helpful information such as a tip? Does the post have any entertainment value? Take a look at successful Instagram accounts in your niche and scroll through their feed to check these boxes on their images and videos. It can be a good indicator of what will work well for your business, too. If you manage to hit one or more of these broad goals with each thing you post on Instagram, you may well be rewarded with a veritable forest of followers. It’s a no-brainer that using hashtags helps users find your content on Instagram, but slapping any old hashtag onto your posts won’t be very effective. For hashtagging to work, you need to use tags that are frequently searched. There are a few ways you can be sure the hashtags you’re using are the best ones. For starters, Instagram suggests hashtags as you begin to type them in, showing you the number of times said hashtag has been used—the bigger the number, the better the tag. There are also online tools out there that can help you figure out what hashtags might work best. Hashtagify.me, for example, allows you to search for any hashtag you are considering using and presents you with a visualization of other popular hashtags related to your initial query. There are some hashtags out there that are specifically used to drive followers. Putting #instagood or #photooftheday on your best posts can work wonders for growing your following—just be sure to only do this when you are truly proud of a post. When putting hashtags on your profile, remember that it can be annoying to users if you try to shoehorn them in where they don’t below. If you want to list a number of hashtags on a post, put them after the caption you want people to read. Consider using a line break between your caption and the hashtags so your tags won’t distract from the content itself. New Year, New Direction... Well kind of. BEST IN THE BUSINESS!! Can't recommend Lee enough. Not only did he bring my vision to life, he worked with me every step of the way, above and beyond what any one else would do. Lee treated my mission like it was his own. His PASSION, DRIVE and INTERPERSONAL skills exceeded 100 fold. Lee not only made my site to exactly how I wanted it, he educated me on exactly how to use it, and continues to do so even months after working with him. THANK YOU Lee, I'll be looking forward to our next projects in the future. While I can just provide a generic review and say that Lethal did a great job, it would not do it justice. The performance of the business was exemplary in all aspects. Customer service, designs, feedback was beyond incredible. They took an extremely rough idea and turned it into a masterpiece. You will definitely get bang for your buck with Lethal Graphics. After being mucked around by amateur web designers Lee was able to get my business back online and has provided fast professional service and is always reachable. He's restored my faith in the web industry and is a true professional. On top of that he has all my bases covered when it comes to SEO and online marketing. Thanks Lee! So happy I found you mate. Lethal Graphics did a fantastic job! Lee is awesome to work with. My business cards and website look amazing. 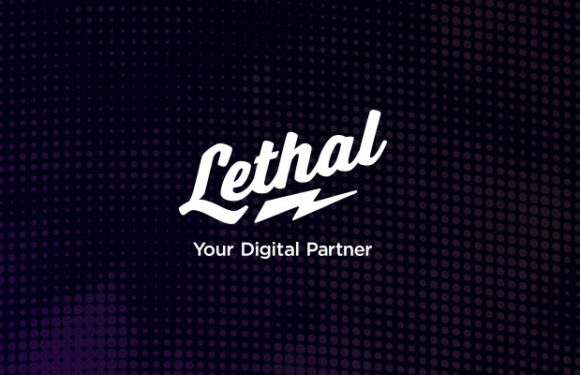 I would definitely recommend Lethal for your business/ website. Thanks again Lee! Lethal Graphics has supported me 100% with my business and digital marketing requirements. They continue to develop and keep up to date with whats happening in todays digital world, which I respect. I continue to work with Lee and his team as they are always happy to help. Lee and the team at Lethal Graphics have been exceptional with the creation of our website, The Human Blueprint. Nothing has been too hard and the attention to detail, along with his understanding of our business has made the whole process a breeze. We cannot recommend Lethal Graphics enough and look forward to working with Lee in the future. Lee from Lethal graphics is the most professional person we have dealt with in the IT/website/brand structure field ever. Extremely good service, great value and an excellent communicator. Would work with him again and recommend him to all. Lee provided an exceptional service for our logo design. We had a vague idea of what we were looking for and what we ended up with exceeded our highest expectations. The whole process from start to finish was seamless, with quick responses & turnarounds. Highly recommended and would definitely use again. I am extremely happy with my new website! Lee at Lethal Graphics has been an absolute pleasure to work with & has done a fantastic job. Always prompt with responses to my emails and very helpful, I can't recommend Lethal highly enough! Fantastic work by Lethal Graphics creating our new website! The layout is clean, fresh and very easy to navigate. The communication and review process was excellent - particularly when we could view a 'demo' site online. Lee understood any changes we wanted to make and this process was extremely quick. Thank you Lethal Graphics and we can't wait to see how the next phase of the site progresses. We engaged Lethal Graphics to re design our website. Lee worked with us and understood our needs perfectly. Our new website looks great! We are now working on branding and marketing concepts. Excellent service highly recommended! Lee at Lethal Graphics has been fantastic to work with during the process of creating a new website for my business, Tuscany Bridal. He has been incredibly efficient and nothing has been too much trouble. I would highly recommend Lethal. I had such an amazing experience with Lethal Graphics! Lee listened to all of my ideas and created a flawless space for me to conduct my business and showcase my work. I wouldn’t trust anyone else with my website and highly recommend him for anyone looking for a creative mastermind! Only giving 5 stars because 10 wasn’t an option! ABSOLUTELY AMAZING! Lee is 100% genuine, and i cannot thank him enough! Lethal Digital gave me the website of my dreams! Everything is exactly how i seen it in my head!! Lee's attention to detail and exceptional communication skills made my website build super easy. Not only did he build be an incredible website, but Lee extended his services to cater for document design and email marketing to really help kickstart my brand. Super stoked I chose Lethal!